True Music Africa Tour is coming back to South Africa for its inaugural Pretoria show. 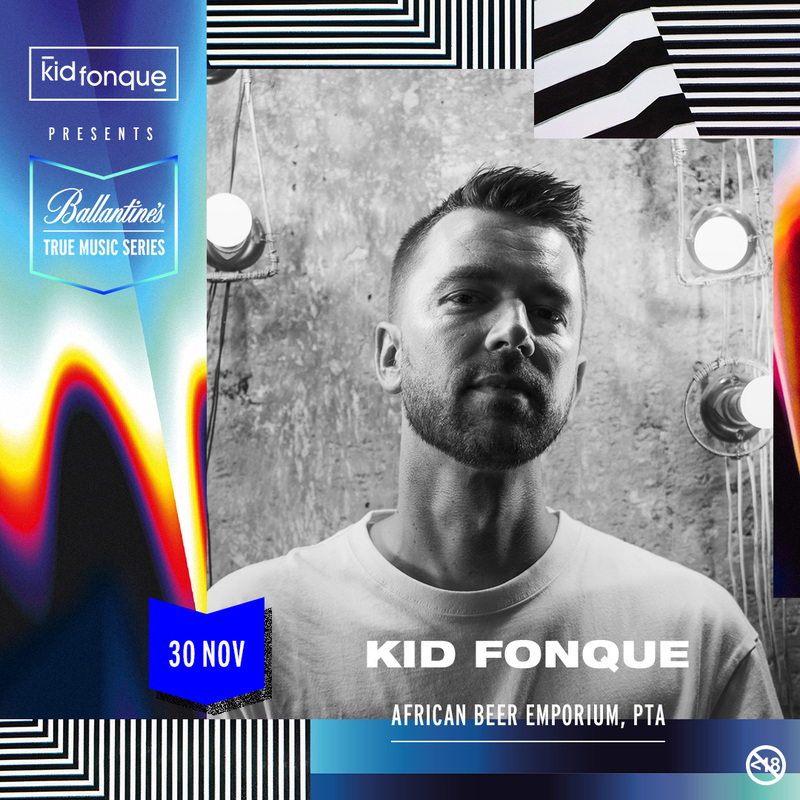 The city of Pretoria will play host to Ballantine’s True Music Series in South Africa, in partnership with radio host, DJ and producer, Kid Fonque, at the African Beer Emporium on Friday, 30 November. Finally a vibey event taking place in the heart of Pretoria #We'reTiredOfJoziEvents. 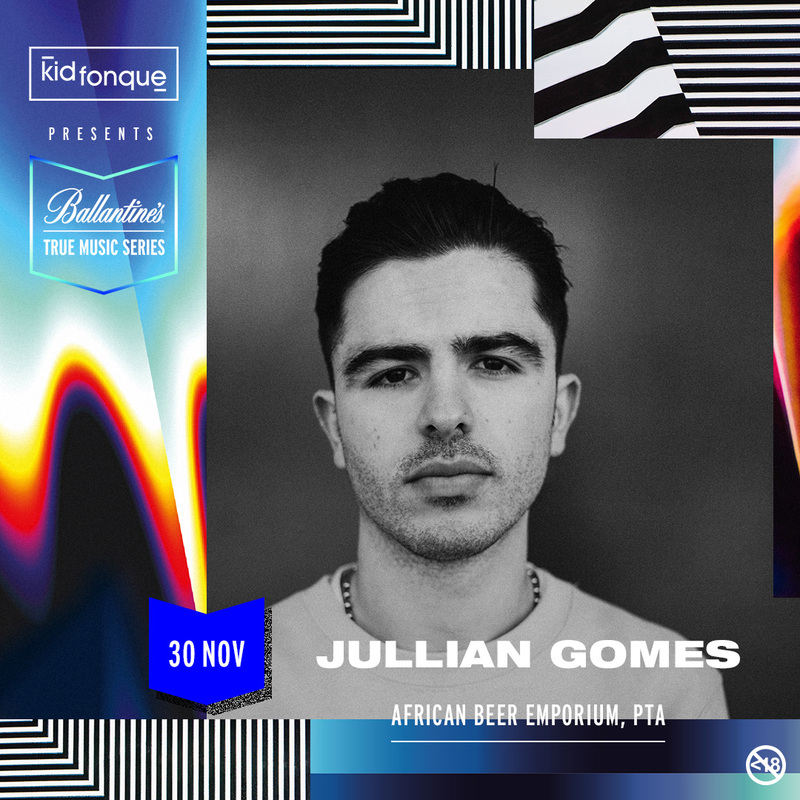 The artists on the line-up, which include AtJazz & Jullian Gomes, FKA Mash and Kid Fonque, will all connect their music to the artwork created by Felipe Pantone. The artwork will act as its own equaliser, allowing musicians to experience a visual representation of the music they produce and play within the space, ensuring a performance experience like no other for music fans. Felipe Pantone’s latest designs for the Ballantine’s True Music Series were inspired by underground club culture, the recording and production process, and music soundwaves. 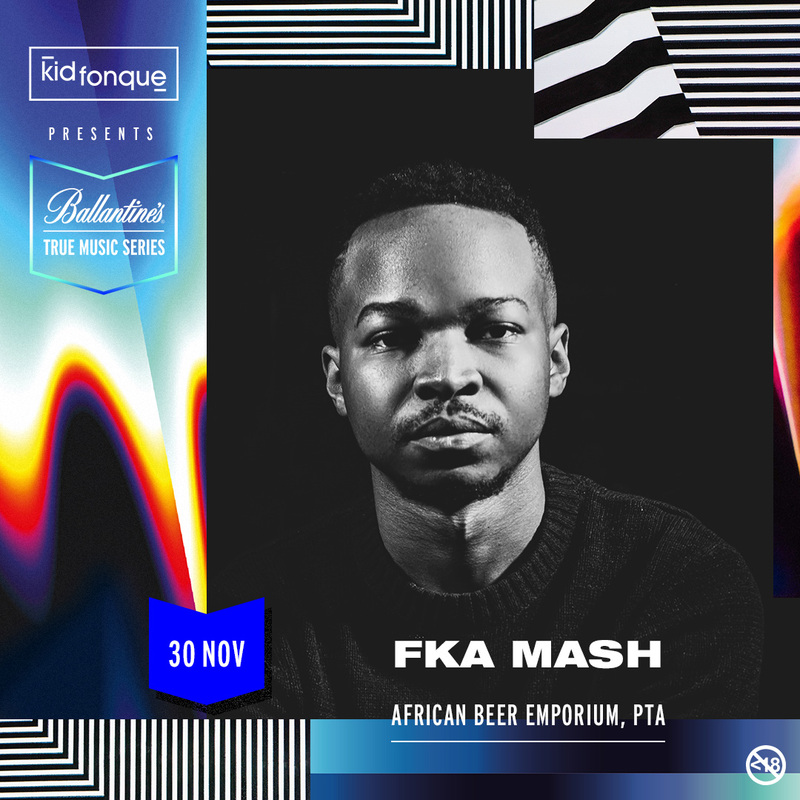 “Pretoria is the home of house music in South Africa, it’s where some of the legends of house were born and raised, we’re happy to be bringing such as unique event to this city first. It’s going to be an exceptional experience to see house music come to life through the artwork that Felipe Pantone will be providing” says Kid Fonque. with Boiler Room, and they’re going back to their roots for this stop on the True Music Africa tour, with the first-ever Pretoria show. It will bring together a stellar roster of house selectors for another incredible event at a secret location. 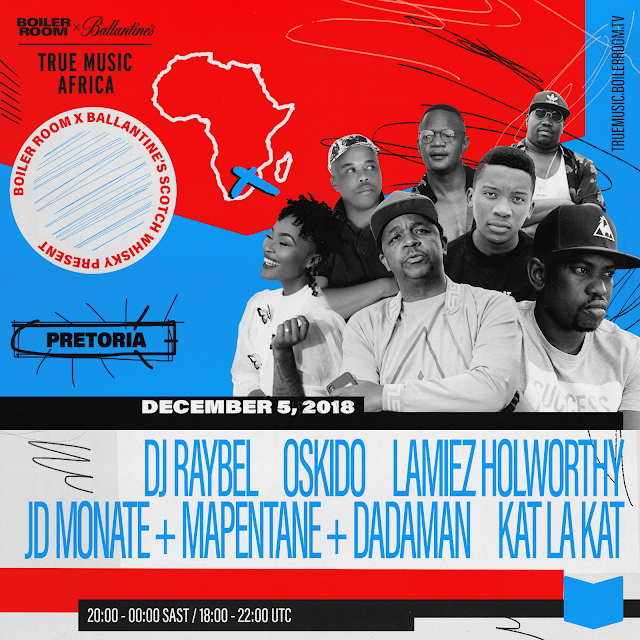 On Wednesday 5 December, some of the most exciting names from South Africa’s underground, including a combination of house music up-and-comers and pioneers, and a highly-anticipated set from kwaito legend and True Music Africa Forum keynote speaker, Oskido, will be broadcast live to the world. The line-up includes Oskido, DJ Raybel, JD Monate + Mapentane + Dadaman, Kat La KAt & Lamiez Holworthy. 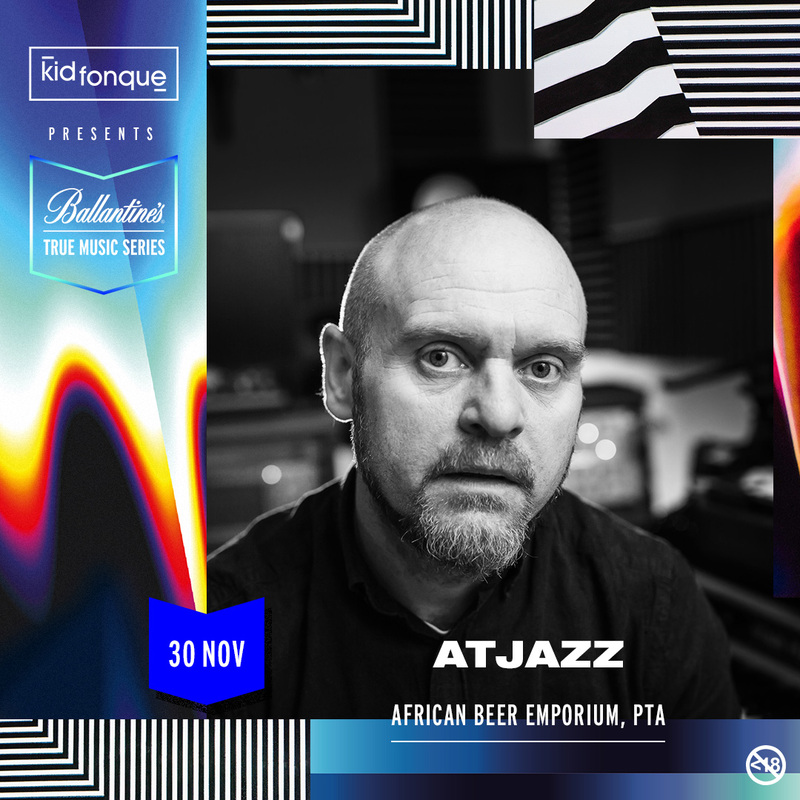 Boiler Room and Ballantine’s are committed to supporting and celebrating uncompromising artists who do it ‘their way’. 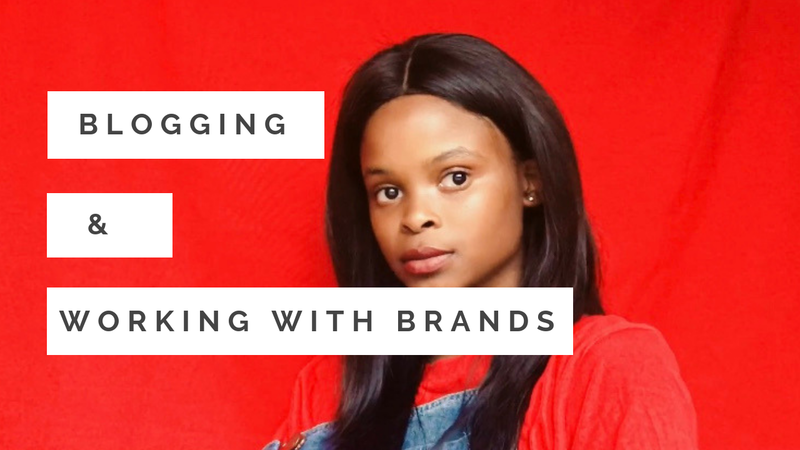 With their True Music platform, the partnership champions artists with a perseverant spirit and challenges them to continue pushing boundaries.